*HOT! 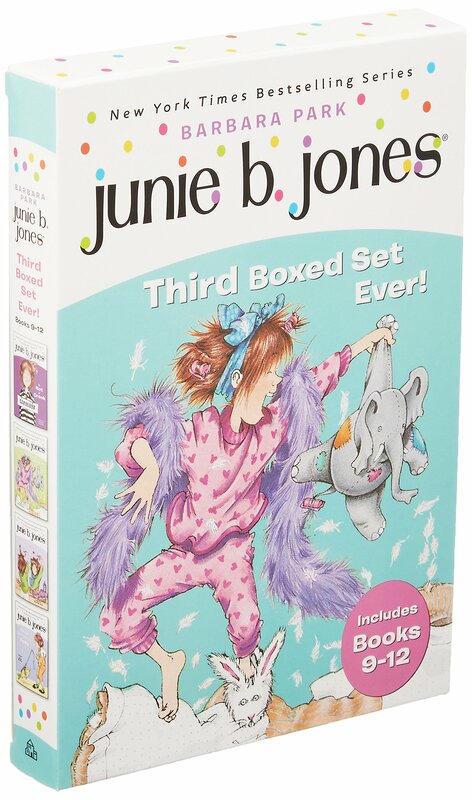 * Amazon – Junie B. Jones’s Third Boxed Set Ever! (Books 9-12) just $8.26 (Reg $19.96)! Amazon is offering the Junie B. Jones’s Third Boxed Set Ever! (Books 9-12) for just $8.26 (Reg $19.96) with FREE Prime shipping or free shipping with $35 purchase! Books in this set include: Junie B. Jones Is Not a Crook (#9), Junie B. Jones Is a Party Animal (#10), Junie B. Jones Is a Beauty Shop Guy (#11) Junie B. Jones Smells Something (#12).